AMCON’s leadership exemplifies the very best financial professionals of high repute, creating a unique blend of asset management talent and experience. 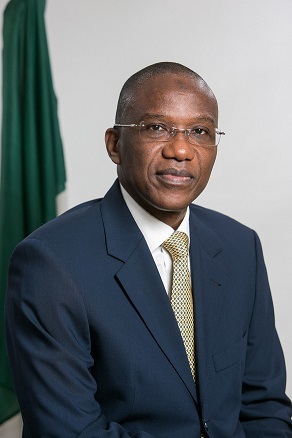 Ahmed Kuru assumed office as the Managing Director and Chief Executive Officer of Asset Management Corporation of Nigeria (AMCON) in August 2015. Prior to his appointment Mr. Kuru served as MD/CEO of the erstwhile Enterprise Bank Limited, one of the bridge banks established by the Central Bank of Nigeria, from 2011 to 2014. He led the initiative to restore stakeholders’ confidence in the bank and successfully returned the bank to profitability before it was acquired by Heritage Bank in 2014. Mr. Kuru brings into AMCON an extensive experience in banking and financial services garnered over 35 years. His work has earned him recognition in the financial sector as an astute banker and a change agent. He played a strategic role in the highly successful merger of Habib Bank and Platinum Bank to form one of Nigeria's vibrant banking brands known as Bank PHB, which he nurtured to prominence before it was renamed Keystone Bank Limited, after its acquisition by AMCON. 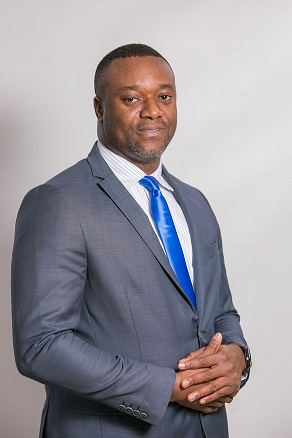 Ahmed Kuru was also the Executive Vice Chairman of Emeritus Capital Limited, a financial services firm, with specialty in international business development focusing on sub-Saharan Africa. Mr. Kuru holds the Bachelor of Science (BSc) and Masters Degrees in Business Administration from the Ahmadu Bello University (ABU), Zaria and is also an alumnus of the London Business School. He has attended many trainings and seminars across the globe including the High Impact Leadership at Columbia Business School, New York. Dr. Eberechukwu Uneze is an Executive Director in the Asset Management Corporation of Nigeria (AMCON). He was previously Executive Director of the Centre for the Study of the Economies of Africa (CSEA) and Head of the Centre's Public Financial Management & Governance (PFMG) research area. Dr. Uneze’s previously worked in the Nigerian banking sector in various roles, and as an Economics lecturer at the University of Kent and Baze University. Dr. Uneze’s research interest cuts across Public Economics and Policy Analysis, Development Finance, and Impact Evaluation. He works at the frontier of global development, and is widely recognized as one of the leading development thinkers in Nigeria and Africa. In 2013, he received a lifetime achievement award from the Global Development Network for his contributions to the advancement of research and capacity building in Africa. Dr. Uneze has provided policy advice to domestic and international institutions including the World Bank, DfID, AfDB, ODI and various Nigerian government agencies. He holds a PhD in Economics from the UK, a Master of Science degree in Economic Management and Policy from the University of Strathclyde, UK, and a Bachelor of Science degree in Economics from the Imo State University, Nigeria. Dr. Uneze’s also received post-graduate trainings from Harvard University (USA), Duke University (USA), Laval University, Quebec (Canada); George Washington University (USA); University of Bologna (Italy). Mr. Ismail is currently the Executive Director in charge of Finance and Operations at AMCON. Prior to this, he was from 2011, the Executive Director in charge of Service and Corporate Banks in Enterprise Bank Limited, a bridge bank established by the Central Bank of Nigeria, following the intervention by the Federal Government in the banking sector during the global financial crises. 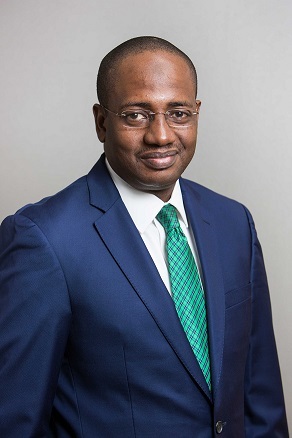 With almost three decades of experience, Mr. Ismail's career has revolved around Banking and Financial services since 1990 when he joined Pannell Kerr Forster, leaving as an Audit Senior to move into mainstream banking at Commercial Bank Credit Lyonnais Nigeria, in 1992 where he spent 8 years and rose to become the Abuja Branch Manager. After various roles in FSB International Bank Plc, he went on to head the Corporate Banking Group and thereafter, the Energy & Investment Banking Division. Following the merger with Fidelity Bank Plc, he played a key role as Chair of the Strategy Sub Committee for the emergent institution, and thereafter was Divisional Head for Upstream Oil, Gas and Power. He joined UBA Plc in 2007 as Relationship Director in the Energy Bank and was also Regional Bank Head for the Northwest Bank. Mr. Ismail graduated with BSc honours degree in Accounting from Ahmadu Bello University in 1990 and later obtained an MBA from Manchester Business School, UK in 1997. He is a fellow of the Institute of Credit Administrators and an Honorary Senior Member, Chartered Institute of Bankers of Nigeria. "AMCON was created to be a key stabilizing and re-vitalizing tool aimed at reviving the financial system."